Home / News in Brief / Welcome to VLW! 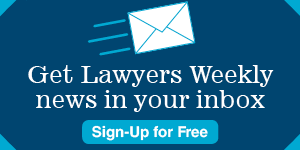 Welcome to VLW, the blog from Virginia Lawyers Weekly. Look here for breaking news and new cases you can use. And watch for info about lawyers and what they’re doing. We’ll keep our eyes on what happens in the law and in the Virginia legal community and post it here.